They travel the world, fulfilling their passions. They praise the fact that they have time for themselves, for their family and their 18-year-old son Mikołaj. Once, they tried working full-time, running their own business, but it was only in partner marketing that they found what they were looking for. Meet Anna and Leszek Dratwiński, now Vice-Presidents of Colway International, who in their ‘previous life’ were specialists in advertising and marketing, and zootechnics. Colway International: Can you confirm the thesis that success comes easier together? Anna and Leszek: Definitely, yes. When common goals are shared and strengths are shared equally in what you do, it’s much easier. For us, the big advantage of such a business relationship is the fact that we can talk about challenges and know that our partner understands. It’s also much easier for us to conduct recruitment interviews. A.L. 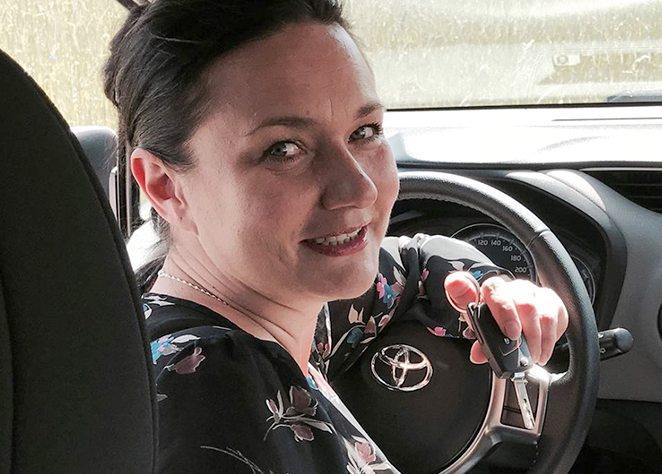 : Well, in this business your car often becomes your office, and if two people are involved, the time spent travelling to potential customers and associates is well used. One of us drives, and the other can call and make appointments, write e-mails, read, or even participate in online training. It’s also true that together we achieve our goals faster. And if it happens that we want to take a break from our own company, we just spend a few days a year separately. C.I. : So does working together affect your personal life? A.L. : In our family everyone is involved in Colway International. Everyone is responsible for something, and everyone tries their best. We’ve long ceased trying to separate our private and professional lives. That doesn’t mean, however, that we’re working 24 hours a day. But it’s simple – if you love what you do, there’s no need to separate work and time outside work. C.I. : What made you consider Colway International an attractive business offer? A.L. : The Partner program, with its many privileges. From the discount at Member rank to help get a good start, to the powerful e-commerce tools in the form of our own virtual office, and – virtually maintenance-free – our own online store at which we physically don’t have to be present. Plus, we have the opportunity to gain five sources of income and take advantage of an educational program. Colway International provides paid promotions, a standardized car program and foreign conferences. Added to this are its almost 30 innovative products from the top biotechnology shelf, all made of components unused by any cosmetics company so far. We have a recipe for success. What more could you want? C.I. : So what gives you the most satisfaction? A.L. : The possibility of continuous development. It’s also important that we can pursue our passions together. We have time for ourselves, time to fulfil our dreams, we can travel, and we really ‘go’ to work when we want to, not when our ‘boss’ tells us to. However, I think that the possibility of working with other people still gives us the most satisfaction. It's a great feeling when people from our team get involved and then get promoted to higher and higher ranks. When we can participate together in integration trips, plan together and act together, it’s great. This company is primarily people, and we’re lucky that we can work with the best of them. C.I. : How does Colway International influence your life plans and values? A.L. : Colway International gives us the opportunity to be the best versions of ourselves. To become who we want to be. We have the feeling that it will change our future to be the one we’ve dreamed about. C.I. : What’s your main goal with Colway International? Where do you want to get to with it? A.L. : Our priority is the highest rank of course – International President, and all the privileges associated with it. Obviously, we’re aware that we still have a lot of work ahead of us, but when we choose a goal, we always strive for it. C.I. : In your opinion, is partner marketing for everyone? A.L. : If you’re positive, with a friendly attitude to others, like to play, travel and take seriously what you get involved in, then yes, this business is for you. No one here is asking about your age, education or origins. Everyone starts from the same position and everyone has an equal chance. When you start in the Partner Program, what you know isn’t important. What's important is what you learn ... AND WHAT YOU DO! C.I. : Well, we certainly wish you further success, and good luck in achieving your goals! Barbara Buławska is an energetic pensioner – that’s how she describes herself. First, she fell in love with Colway’s innovative products, then she jumped into the deep end, engaging herself with great heart in the Company’s activities. It wasn’t long before it became apparent that Basia and the company had the same heart and wildness that characterizes all of Barbara’s work. Basia now believes that by recommending collagen products to others, she can help them, as they were quite a discovery for her. ‘Be beautiful. Be young. Be healthy’ – this slogan is the reality in which she re-discovered and learned to love herself again. Colway International: Barbara, we can see “Generation Colway International” written on your fan page. What’s that all about? Barbara Buławska: For me, it’s primarily about Colway women – they’re fantastic! B.B. : Women at Colway International are energetic and live life to the full. These are woman who appreciate their own value, have respect for themselves and others, as well as an unwavering serenity. There are so many different women at C.I., of different ages, with different educations and experience. What connects them is Colway and their own unique qualities. I know what that means, based on my own example. C.I. : What does it mean? B.B. : That I am a woman who has already entered retirement age, but I have inexhaustible resources of positive energy, the will to live and a sense of self-satisfaction. I look in the mirror and say: ‘It's not bad!’ This is extremely important. This is what the Colway International Generation is – a generation of people satisfied with their life, with themselves, with what they can achieve, regardless of their background and education. Because what’s most important is that you can achieve real success in this company, and that translates to freedom. C.I. : So what makes C.I. products recommendable? B.B. : That’s simple: they’re unique, outstanding, and nobody else has them. These three short statements describe them perfectly. No one else has reached such a level of innovation yet. What's important – we test all the cosmetics on ourselves before we recommend them to anyone. We see their effects. I’m completely happy with Colway’s cosmetics. Please believe me, because otherwise I wouldn’t be promoting them and wouldn’t be a company ambassador... I always say that you can cheat the customer only once, and I have customers who have been with me for years. C.I. : What’s the biggest challenge for you in your professional life? B.B. : The biggest challenge for me is working with people. B.B. : Because everyone is different. We reach different target groups and it’s up to us what the end result of our interactions will be. I’ve always said that when you do such work, you must be very humble. We should first look at ourselves before judging others. Think what you can change in yourself, and only then try to influence others positively. For me, working with people is a big challenge, especially an emotional one. It’s true that not everyone was created for such work, and people with big egos will have a problem, at least in the beginning. One of the advantages of partner marketing is especially important to me – the fact that I don’t have to work with just anyone, but can choose my associates. C.I. : When you think about the benefits of working with C.I., what’s the first thing that comes to mind? B.B. : First? Fantastic well-being and a sense of accomplishment. But Colway International also means an amazing atmosphere. Both I and most of the leaders perceive C.I. as a company with heart. This is not a soulless corporation, in which orderly people follow the usual patterns. Colway International people have visions, goals and the power to do things differently, thinking outside the box. C.I. : You mentioned earlier that education doesn’t play a role at Colway International, so what is the most vital thing on the road to success? Your own hard work and experience, or maybe support from others? B.B. : Determination, determination, and once again – determination. In my case, my personality had a considerable impact. I’m a chatterbox. I enjoy working with people and talking to them. I often take on the role of therapist, helping my interlocutors with their problems, and I think that helps me too. Probably, my associates value this in me. I must also add that I am not a sales person. I never have been, and wouldn’t like to be. The sale of the products just happens, along the way. In building my structure, I focused on helping people develop their own business – so that they can be free. I’m happy that I can stand in front of others and talk to them, influence them and change their lives in a small way. C.I. : Was there a moment that you would consider a breakthrough in your career with Colway International? B.B. : Well, for me, the crucial moment was finding myself in Colway orbit’s at all. More specifically than that? Maybe my decision about the postgraduate studies I’ve just completed. As the oldest student of the year, I acquired the competences of Business Trainer, as well as Personal Development Coach. This helped me a lot with my own development, but it was the idea of ​​Colway International that had a huge impact on my decision to continue my education. First of all, the President of the Board, Bernard Jastrzębski, greatly encouraged me and supported me, saying I could still graduate at my age. I think I’ll be grateful to him for the rest of my life. Now, it’s definitely easier for me. I feel more assured in what I’m doing. But... I shouldn’t judge myself, I have my people for that! C.I. 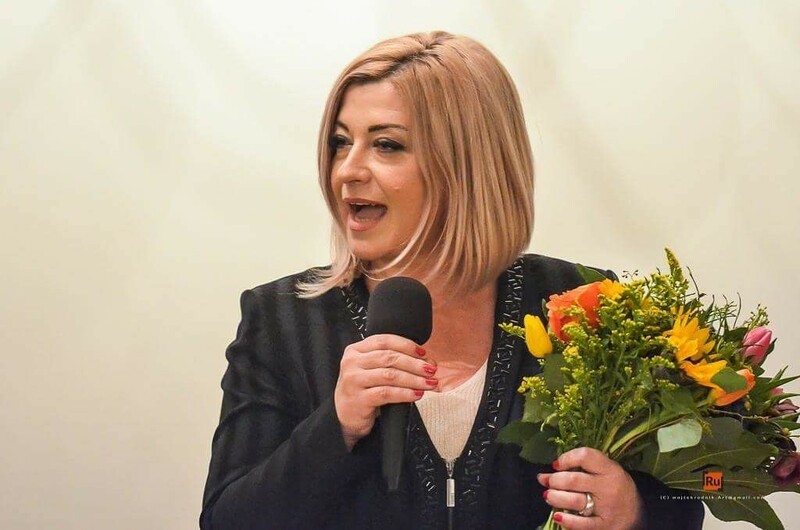 : Basia, thank you very much for the interview. We wish you many further successes! In Monika Suska-Łojek’s life, family is the most important thing. Colway International gives her the opportunity to spend as much time with her family as she wants. A fan of personal development, Monika is a girl from Stachowice, and a graduate of the first class at the Academy of Recruitment and Sales – a Colway International development project. She took up the challenge of Wellness together with her husband, Mariusz Łojek, to promote a healthy lifestyle and physical activity. She’s built her team of Partners in the belief that teamwork brings the best results. As she says, “Strength is in teamwork! Thanks to you, thanks to the teams, everything’s easier. Together, we’ll go where no one’s been before." C.I. : What benefits do you get from working with Colway International? M.S-Ł. : Working with Colway International is, for me, the opportunity to purchase very high quality products at very low prices. It’s also about development, learning and training with very good staff and getting to know fantastic people from various professional groups. And thus, also, experience. M.S-Ł. : Of course, yes, working with Colway International means unlimited earning opportunities. I currently only work with C.I., and I don’t need any additional income streams for myself and my family. I’m even considering starting on the car program now. C.I. : So how did you find out about working with Colway International? M.S-Ł. : I was already a ‘friend’ of Colway, the older sister of Colway International. I learned about its new opportunities at one of their meetings. C.I. : What effects of using Colway International’s collagen products can you see? M.S-Ł. : I’m one of those people who has very problematic skin. I have sensitive and couperose skin. Besides that, I’ve been suffering from psoriasis for many years, which is why it wasn’t easy for me to find the right skincare products. So I really, really want to pay tribute to those who created such amazing cosmetics. They’re perfect for problematic complexions such as mine – as if they were tailored for me. My skin is smooth, it feels rested and moisturized, and this brings me great comfort and satisfaction. C.I. : You’re obviously a very busy person. Does the regular use of C.I.’s collagen products translate into less time spent on your daily care routines? M.S-Ł. : Definitely, yes. They’re brilliant for busy people, which is normal these days... The skin problems that affected me before have been reduced to zero. Well, I don’t have to visit the specialists so often anymore. I used to, non-stop, but now I don’t have to. C.I. : What would you say to someone thinking about starting a business relationship with C.I.? M.S-Ł. : First of all, I’d advise them to choose some products and start using them, so they could become convinced about their quality themselves. I want everyone – as me and many of my friends did – to fall in love with these products. It’s also worth looking at Colway International in the long run, as a young company with amazing development potential. That potential is largely thanks to the tools that it offers its associates. These begin with the sale of products through the online store, and all we have to do then is point the customers at it. The company handles the entire service thereafter, from warehousing, shipments, logistics and the introduction of new products and promotions. Additionally, it provides distributors with their own virtual office that has access to a comprehensive billing system, as well as a training system with very well-qualified staff. C.I. : Which qualities distinguish a good, effective distributor for a cosmetic brand? M.S-Ł. : First of all, the distributor should be a ‘walking advertisement’ for the products. They should know the catalogue very well, be able to present it properly, pick out the cosmetics that meet the needs of their customers. It is also a person who is able to establish and maintain positive relationships with their customers. Marek has a mathematical mind. 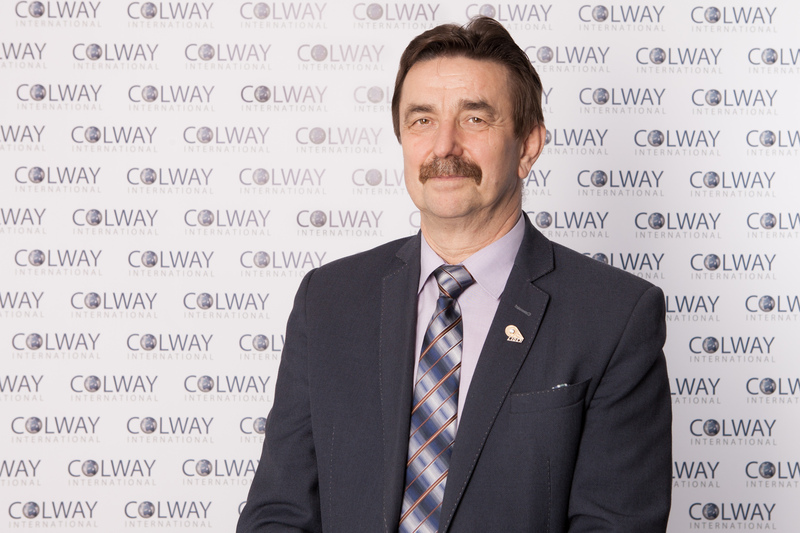 He quickly calculated that Colway International’s potential, in relation to the work that needs to be put into its development, would knock out the competition. He doesn’t sell the products himself, but looks specifically for solid, satisfied customers and builds sales networks with them. In partner marketing, a job done once brings financial returns for many, many years. Marek understands how the business works at the international level, and this can be seen in the results – his Italian group, born with the opening of Italia Colway International in Rome, is gaining momentum every day! We sat down and asked him how to go about successfully building an international business. Colway International: So! Where should you start when building an international business? Marek Przeniosło: Undoubtedly, it begins with making direct contact with at least one person from the chosen country. Then, a Partner or their leader should have a personal meeting with this person. After they agree to come aboard, they need to be immediately pre-trained – in terms of both product knowledge and how the business is run. After that, it’s our responsibility to keep in touch with them, to provide advice and support the entire, emerging structure. C.I. : Which products have been particularly well received in Italy? M.P. : The Collagen Lip Care from the Hydro line was a big hit, making a sensation from day one. Of the cosmetics, all of the native collagens are very well regarded there. And some of the products have found a permanent place on the shelves of Italian homes. Some of the most popular so far are the Hand cream, Intensely moisturizing face cream, Eye contour elixir, Moisturizing & lifting eye serum, Rejuvenating face cream, Anti-Age capsules, Baby bath gel, and the DNA creams. Of the supplements, first place goes to the Vitamin C-olway with collagen, and the Collacein and ColamiD. But the other products are also gaining followers, over time. Remember that before a customer will order a new product, they often first want to learn about its properties and usage. C.I. : How did you become so successful on the Italian market? M.P. : It can be very difficult to assess yourself in these matters. Put ten people in front of me, and each one will have a different opinion. But I’ll gladly tell you how I did it. First of all, I made contact with someone in Italy, Kasia Klepacz. After she declared her interest in working with us, I flew to Rome for the opening of Italia Colway International, and we had a meeting at the same time. During the event I also met her friend Magda Muniak, and after the ceremony we had their first training meeting. So, a month later I flew to Rome to meet with a large group of associates. Paulina Anna Arbuz and Tomek Krajewski were particularly involved in it back then. And I don’t mention them without reason, because you’re soon going to hear about those two as the leaders on the Italian market. Now, more and more people are joining and their group already has about 50 participants, with new leaders among them too. It’s worth noting that native Italians are beginning to join too. In terms of ​​legal advice and assistance, I get a lot of support from the board of directors – Daria Wasiluk and Bernard Jastrzębski – and from the Italia General Sales Manager, Alessandro Bruzzone. C.I. : That’s really impressive! Well, we’re keeping our fingers crossed for the further development of the Italian group! M.P. : Thank you! I wish you continued success too. A forty-nine year old woman from Gdańsk. An incorrigible optimist who seeks solutions, not problems. Overcoming life’s hardships, fortitude and courage – these are her specialties. She loves people and dogs, going to the cinema and theatre, and watching human fates wrapped up in the form of a good biography. She graduated from the Faculty of European Studies as a Manager of Sport and Recreation, and a Specialist in Communication and Media. She boldly sets new goals for herself, which at present include an international exam in Business Coaching, working as a group facilitator and attaining a new rank in the Colway International career plan. Meet our Vice Director, Anna Janke! Colway International: Where did you hear about Colway International for the first time? Do you remember the moment? Anna Janke: Yes, actually, I heard about C.I. for the first time at an open meeting in Sopot, led by President Jastrzębski. I sat and listened with great attention and concentration. C.I. : What were your feelings about the project back then? A.J. : I knew right away that it would be a great new challenge for me. The keyword was ‘International’. I imagined travelling around Europe, around the world, unlimited development opportunities, using my command of languages – German, Spanish, English and Italian – and also deepening my professional experience in that most magnificent system of cooperation: MLM. C.I. : Why partner marketing though? What convinced you it would be a good lifestyle choice? A.J. : Well, it's simple – my greatest passion is being with people. I’m an only child and I’ve always looked for company, in order to feel needed and fulfilled. I’m grateful to my mother, because she made sure I wouldn’t become a selfish egoist. She raised me very wisely, throwing me into deep waters, but at the same time surrounding me with an invisible shield. C.I. : Do you think you’ve succeeded at C.I. because of your need to be with people? A.J. : My strength is my ability to build healthy relationships – so I think that yes, thanks to this I’ve been successful. I believe that learning social communication tools is a way of duplicating these skills. And besides... I’m emotional and sensitive. Sometimes I laugh so hard I cry! C.I. : Have you ever had the opportunity to use your communication skills somewhere other than at Colway International? A.J. : Yes, I built a passive income from insurance groups for nurses and tax office employees. C.I. : What has hindered you most, on your way to the top? A.J. : My own internal critic, which I can silence by building and deepening my knowledge with training sessions. C.I. : And the happiest moment in your professional career has been...? A.J. : Oh, the International C.I. Conferences, or my various trips around the world, financed by the results. C.I. : What else do you value in your professional life? A.J. : The most beautiful thing for me is the feeling of satisfaction I get from my achievements at work. Seeing the smiling and contented faces of the people I’ve helped in achieving their goals and fulfilling their dreams is, to me, priceless. C.I. : Tell us, as the Vice-Director, and knowing the entire product range very well – what’s your favourite product? We are waiting for you! Achieve the Vice Director rank and share your story!